Allow me to get this out of the way, up front. I hate this movie in as much as I hate what it stands for. Having said that, there are much worse ways to spend two hours than watching some of the most gorgeous cinematography you’ll see this year. “Youth” is one of those films that might have worked in the 70s or the early-to-mid-90s, when earnestness about the beauty of life would have seemed refreshing amidst the doom and gloom of those introspective periods in film history. 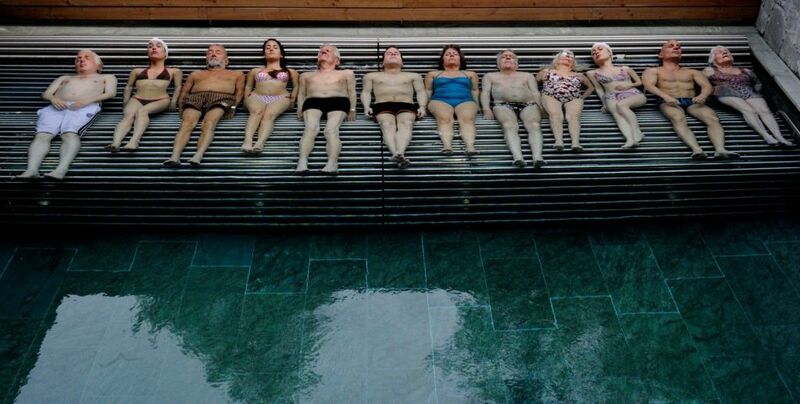 Director Paolo Sorrentino is clearly a disciple of his fellow countryman Federico Fellini. He would have come of age at the downside of Fellini’s career, when whimsy wasn’t enough to carry a film like “And the Ship Sails On”. Sorrentino is kind of like if Terrence Malick and Pier Paolo Pasolini somehow managed to have a child who was obsessed with Fellini’s filmography from “La Strada” to “Amarcord” as a young man. If you understand this reference, you’ve got a good sense of what to expect, if not, think artsy, high brow, hoity toity nonsense that is nothing short of amazing to look at. 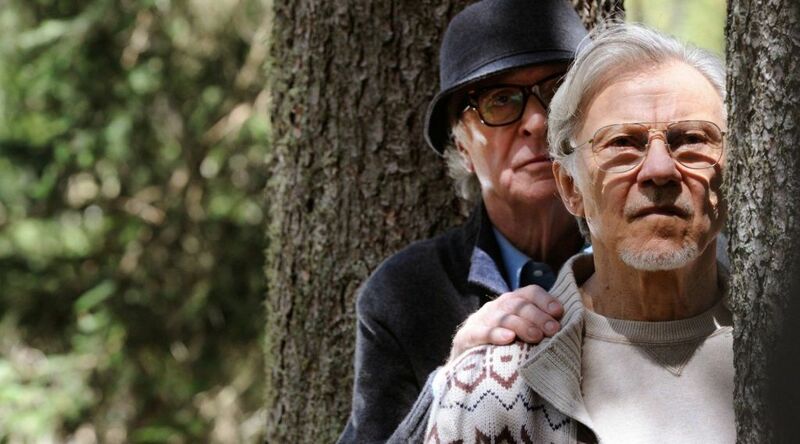 In a luxury Swiss hotel at the base of the Alps, retired composer and conductor Fred (Michael Caine) is enjoying his off-season. In a nearby room, his friend since childhood Mick (Harvey Keitel) is brainstorming draft revisions with a team of writers for Mick’s latest film. The resort is abuzz with news that Miss Universe (Madalina Ghenea) will be vacationing there, but Fred is more concerned with news that his daughter Lena (Rachel Weisz) has been served divorce papers by her husband (Ed Stoppard), who happens to be Mick’s son. The tension in this subplot is released very quickly and awkwardly, dispensed of almost completely by halfway through the film that it seems like an afterthought in retrospect. It at least gave Rachel Weisz something to do in this film. She is very good, and a scene where she lets her neglectful father have it in one, unbroken take was great. However, her character’s journey from that scene to the end of the film is such “Eat, Pray, Love” wish-fulfillment nonsense as to be laughable. The drama of Mick’s film takes over, as does the mounting pressure from the Queen, represented at the hotel by a dryly funny Emissary (Alex Macqueen), to have Fred return to England and conduct his symphony for Prince Philip’s birthday. From here, the film essentially devolves into a series of platitudes and bromides being earnestly delivered by people who behave like they’re in a major motion picture. The film just sort of unravels, vacillating wildly between scenes of absurd visual comedy and intense, teary-eyed monologues. Virtually all of the film’s many, many subplots meander and ultimately go nowhere. That I haven’t even mentioned the bizarre antics of Paul Dano, whose character could be the subject of someone’s dissertation years from now, is an indication of just how much stuff is happening in this film. I will say that Jane Fonda absolutely KILLS it in her two scenes – destroys it – she’s incredible. An intense reminder of how much she could do by doing so very little. Keitel is good, if a little hammy at times especially with Fonda, and his exit from the film is perhaps the most mind-boggling scene this side of a Michael Haneke production. Caine is wonderful as well, but the script lets his character down time and time again, forcing him to reach back in and grab that same old trick out of his bag four or five times. For a film where music plays such an integral role, the soundtrack choices were baffling. The music is abrasive at times and often very off-putting. Also, as a note in general to filmmakers, don’t hype this big piece of music through the whole movie and then when you hear it, it’s just second-rate at best. Ultimately the film is too pretentious to be taken seriously as art, but too high-minded to be convincing as parody. The creeping dread throughout the entire film for me was, “oh no, this isn’t a joke.” It smells like satire, but it opens its veins for you to let you see how beautifully it bleeds – much like last year’s “Birdman” whose rallying cry said, “it’s not enough to like me, you’ve gotta love me.” Had the point been to look at how hollow and empty it all truly is, I would have loved the film. The problem is, it buys the lie it’s selling you.